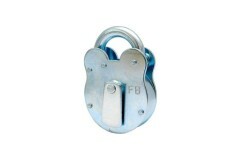 Fire Brigade Locks and Fire Brigade Padlocks (also known as FB Locks and FB padlocks respectively) are deigned to work with pre-set keys known as "FB Keys" (Fire Brigade Keys) which the fire brigade will hold on their keychains to ensure they can always gain access to strategic fire-fighting access points such as dry-risers and similar tactical fire fighting cabinets used for fire-control. 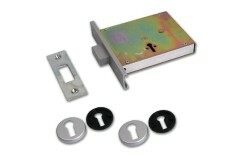 It is important to understand that these locks / padlocks are not designed to be used for securing access doors to properties and should never need to be operated by anyone but the fire brigade. 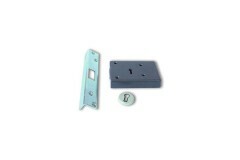 These keys can be purchased online so this type of lock should never be used to secure anything other than doors / cabinets which would only be of interest to the fire brigade. For this reason, FB locks and padlocks do not come supplied with keys. So if you are going to need to access any of these points for maintenance or similar, be sure to order the appropriate FB Keys. When considering buying fire brigade locks, please consult your local authorities to ensure you choose the correct FB key numbers used by your local fire brigade. 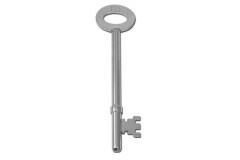 Different counties may use different key numbers, so it is important that you do your research first to ensure you are making the right decision with regards to purchasing suitable FB Padlocks / FB Locks. 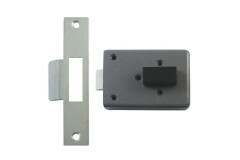 Fire Brigade FB1 Rim Lock have been used by the London Fire Brigade for many years, normally used to..
FB2 Fire Brigade Locks, normally used to secure doors to dry risers etc and normally specified in ar..
Fire Brigade FB2 Rim Lock have been used by the London Fire Brigade for many years, normally used to.. 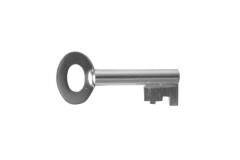 These Fire Brigade Keys are designed to work with either the Fire Brigade Mortice or the Fire Brigad..
FB1 Fire Brigade Locks, these are locks are used by the London Fire Brigade and are designed, to be .. 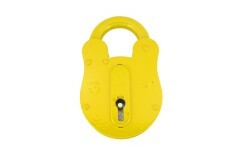 This particular Fire Brigade padlock as a distinct yellow finish which makes it obvious that it is ..
Locks online are pleased to be able to supply the complete range of fire brigade padlock keys we are..